Eek! I am so excited to write this post! In two days time I will be going on holiday to Kefalonia with my family! We are staying in a beautiful villa with a swimming pool and amazing views and I honestly can't contain my excitement! Yesterday was my last day at work for a while so I have a couple of days to sort everything out and get packing. And while I love going on holiday (most people do!) I am not really a fan of packing. I can't ever travel light and I hate the idea that I won't have all of my stuff with me and if I need something or I forget it then that's just my problem. I love mixing and matching different summery outfits for a holiday but in the end I just want to bring my whole wardrobe. 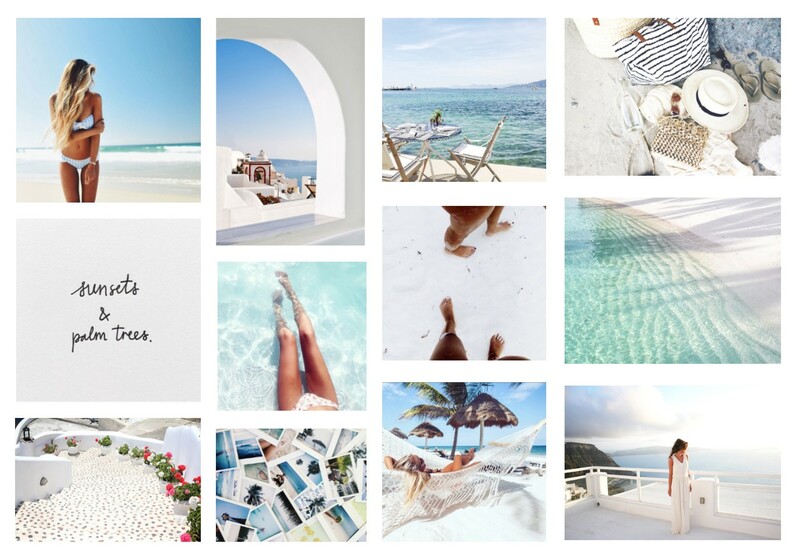 So I put together a collage of my favourite summer holiday images from WeHeartIt to get me even more excited for my holiday to Kefalonia and hopefully make packing less of a chore! I am just dreaming of the sun on my skin, my feet in the sand and crystal clear sea. I can't wait to share my holiday with you on the blog over the next couple of weeks. I don't think that they will be quite as professional as the ones above but hopefully I can take some beautiful pictures while I am away. And if you want to see more beautiful images like these ones then check out my WeHeartIt account here.